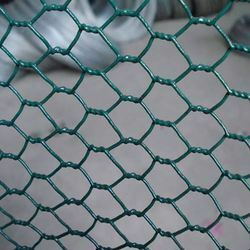 We are one of the leading manufacturer and supplier of Hexagonal mesh.We obligated to meet the quality standards as per the customer demand. Copper and its alloys have been used for thousands of years, so it is no surprise it is a highly demanded option within the wire mesh industry. 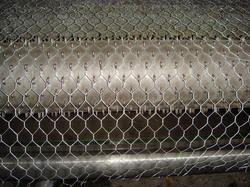 Copper hexagonal wire mesh is ductile, malleable and has high thermal and electrical conductivity. As a result, it is popularly used as RFI shielding, in Faraday Cages, in roofing, in HVAC and in numerous electrical-based applications. Indo German Wire Screen copper wire mesh is woven to the industry standard and when exposed to the atmosphere it will naturally develop a thin green layer, known as patina. Copper wire mesh's unique colour makes it a very popular option for many different types of users, including designers, artists, architects and home owners. Home owners and designers opt for copper woven wire mesh for residential projects including gutter guards, soffit screens, insect screen, fireplace screen, or even custom manufactured infill panels or decorative wall panels. Sculptors, wood workers, metal artisans and architects also prefer copper mesh because of its remarkable dark amber-red colour and its broad appeal to a wide audience. Fuse with surroundings through choosing different colour.It can used as decoration mesh, beautiful and resistant to weathering. Lightweight galvanized wire mesh can be used for chicken wire, rabbit fence, rock fall netting and stucco mesh.Heavyweight wire mesh is used for gabion basket or gabion sack. Colour: Green, Black, Grey, Silver, Orange, Yellow, Red, White, Blue. 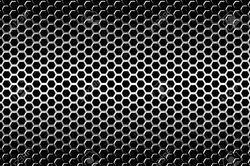 Basically all hexagonal wire mesh is Stainless Steel Wire Mesh is one of the most popular wire mesh or wire cloth or SS jali. Stainless steel is used in wire mesh where both the properties of steel and resistance to staining and corrosion (by adding chromium, nickel and other metals) are required. The amounts of carbon, chromium, nickel, and other metals affect other characteristics including corrosion resistance, and ease of welding and forming. Resistant to corrosion, rust, oxidation, acid and alkali. Stable structure, smooth bright surface, uniform mesh size, high tensile strength. Flexible, easy to transport and install. 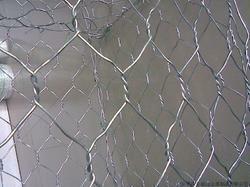 Looking for Heaxagonal Wire Mesh ?